See the attached flyer if you are interested in purchasing pictures. 50'S FAMILY FUN DANCE TONIGHT!!! 8:30 a.m.– 9:30 a.m., in the library. 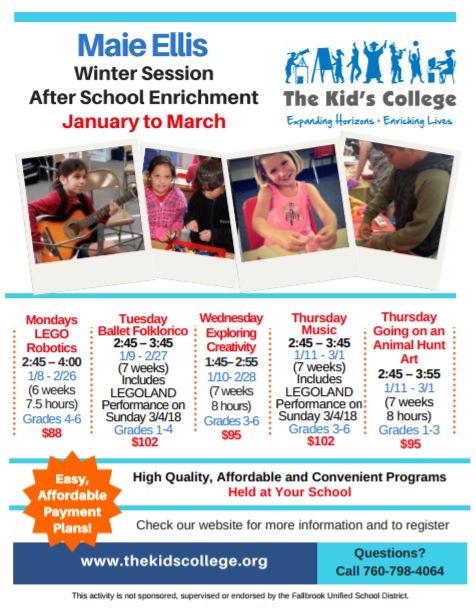 High quality, affordable and convenient programs from January thru March of 2018. Programas de alta calidad, asequibles y convenientes de enero a marzo del 2018. Check out our Newsletter for a list of upcoming events through the month of December.